London Fashion Week brought an arresting smattering of beauty trends to the runway for Fall/Winter 2018. This season’s collections reinforced a range of beauty looks from the importance of fresh, healthy skin and to the fun of a little sparkle and shine. Beauty trends are just as important as fashion trends. Each of these hair and makeup looks is easy to emulate for Fall/ Winter 2018. Which beauty trend will be your favourite? Keep reading to find out! Fresh skin never goes out of style! 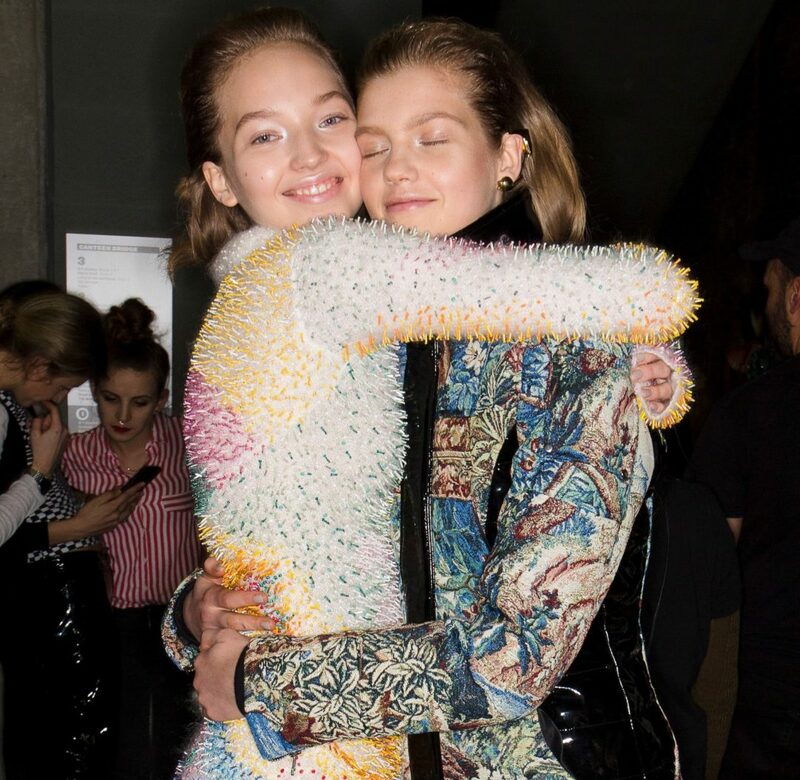 The models at Mary Katrantzou’s Fall/ Winter 2018 runway show glowed with pretty blushed cheeks. A hint of pale pink blush is the perfect way to add vibrancy and flirtatiousness to your look. These blushes from Becca, Benefit, Yves Saint Laurent and Lancôme are excellent choices for getting that Mary Katrantzou inspired vibe. 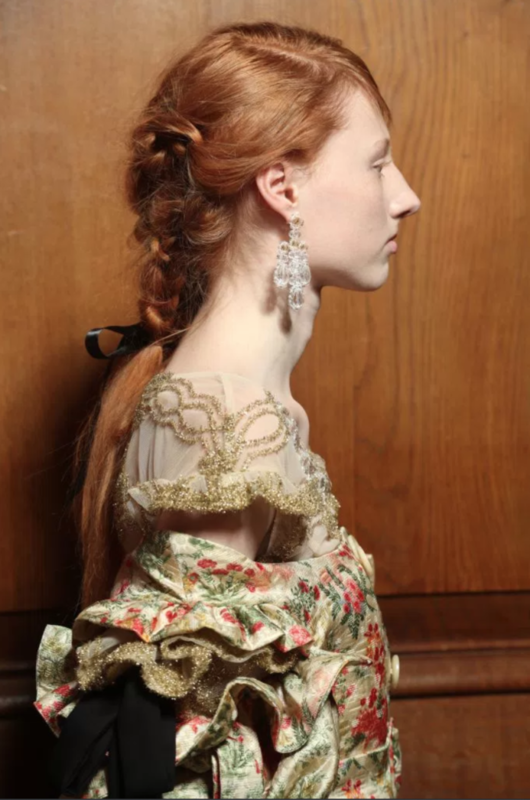 James Pecis (hair stylist) created the disheveled chignons and braided looks for Simone Rocha’s Fall/ Winter 2018 show. “The painter John Constable was one of the starting points for the inspiration,” he explained. “It was more about the colour scheme in his paintings and also his portraits of women. There is a lot of tailoring in this collection, so they wanted to bring a tomboy feeling.” Pecis told Vogue in an interview. To get the look be sure to style your hair with products that moisturize and strengthen for best results. The inspiration behind the beauty look for Erdem’s Fall/Winter 2018 show was modern twenties. Hair stylist, Anthony Turner, who was working with L’Oréal Professionnel products and Dyson tools, told Vogue “this is a girl who’s been trudging around her estate in all weathers. 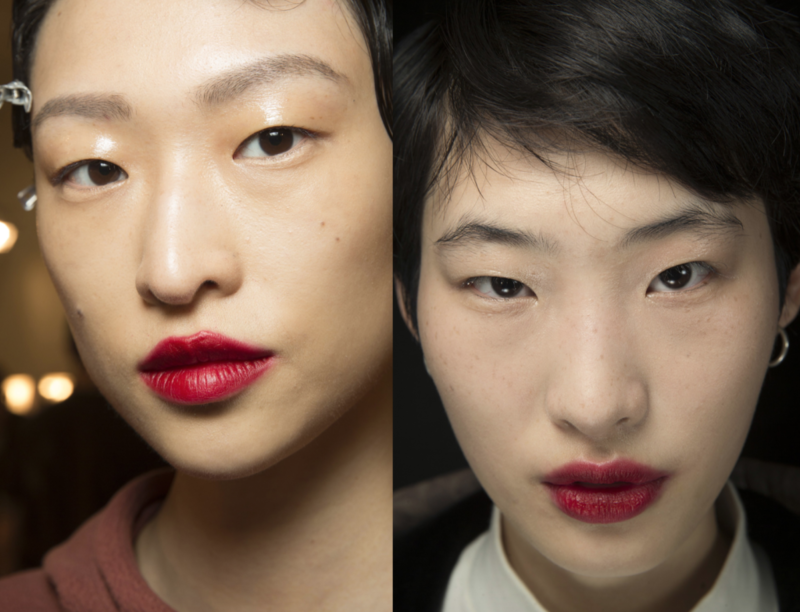 ” The hair featured finger waves and the bold red stained lips added a pop of romantic drama. A dab of lip stain is a great way to add confidence to any look. 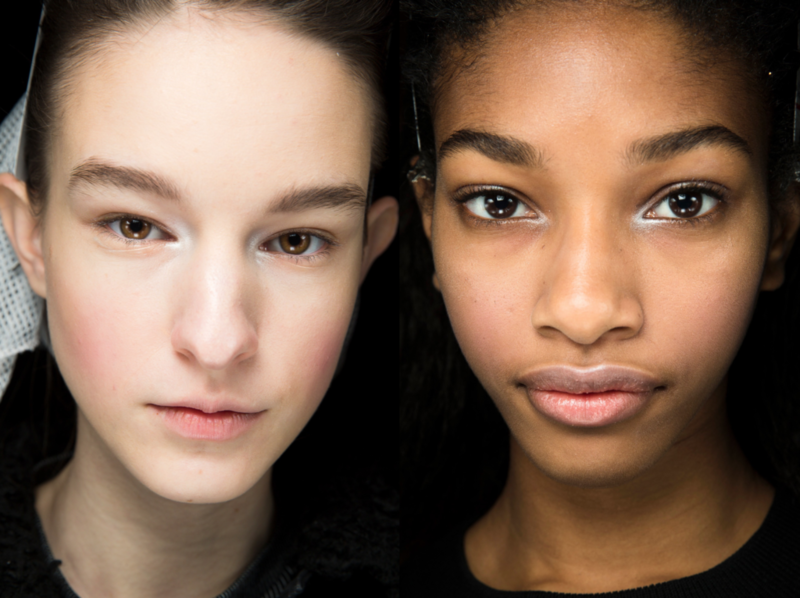 The models of Temperley London looked beautiful with their radiant, bronzed makeup. Temperley London is all about confident, feminine and effortless fashion and the beauty notes for the show echoed that attitude. Every girl looks gorgeous when basking in a bright golden glow. Get the look this Fall/ Winter 2018 by amping up the highlighter on your nose, brow bones and cheekbones with any of the above products. 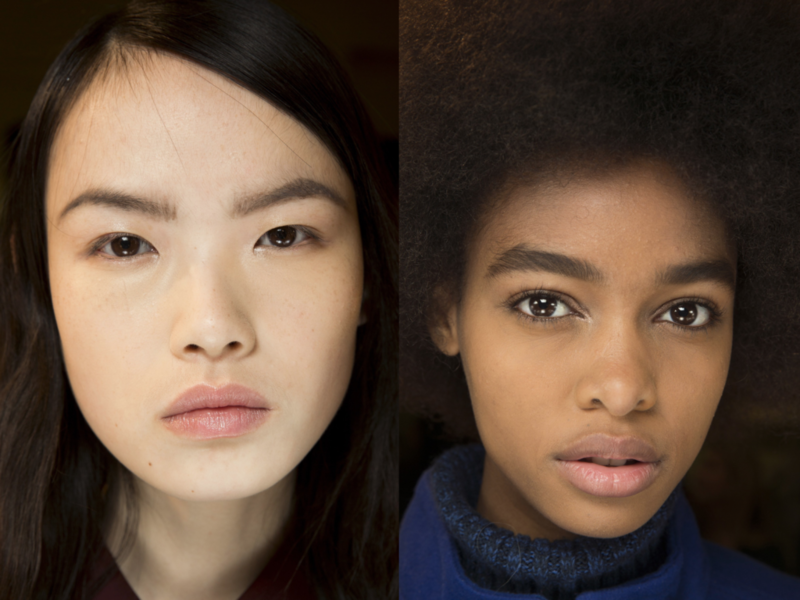 The models in JW Anderson’s Fall/ Winter 2018 show sported next to no makeup meaning flawless skin was their super power. In order to master a blemish free face one has to be meticulous with keeping their skin clean and clear. For radiance, moisture and dewiness make the following skincare essentials are a part of your beauty regiment: Charlotte Tilbury Magic Night Rescue Cream, Benefit Foamingly Clean Facial Wash, Charlotte Tilbury Magic Cream Treat & Transform Moisturizer and Benefit Triple Performing Facial Emulsion. 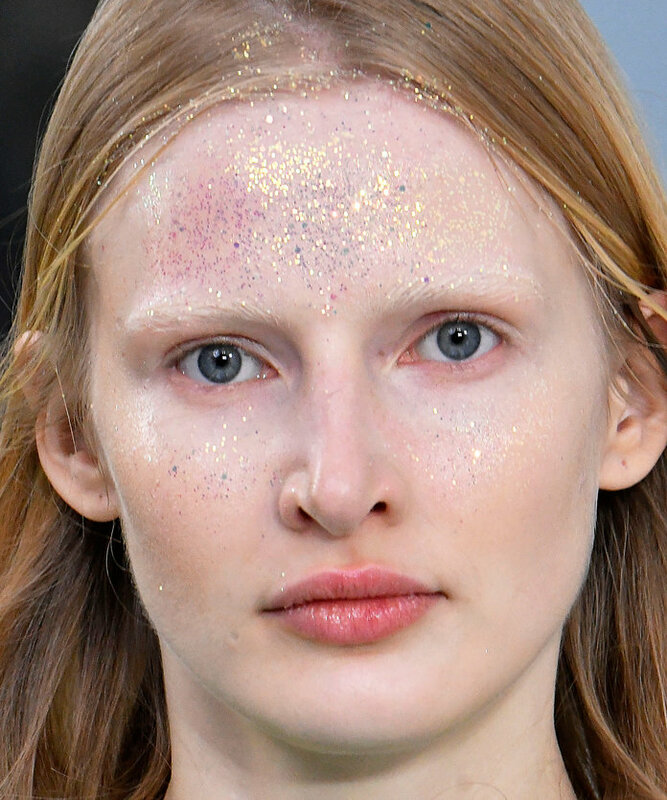 Glitter dominated the runways of London Fashion Week. Shimmer and shine was seen everywhere from makeup to hair. Models at the Preen by Thornton Bregazzi show looked like Tinkerbell had paid them a visit with whimsical fairy dust all over their forehead and eyes. Markus Lupfer models had diamond crystals sprinkled throughout their hair. Models at Delpozo and Sophia Webster also had sparkle beauty notes on their hair, eyes and cheeks. Get the look by glittering up your makeup look with sparkly eye shadow and highlighters. 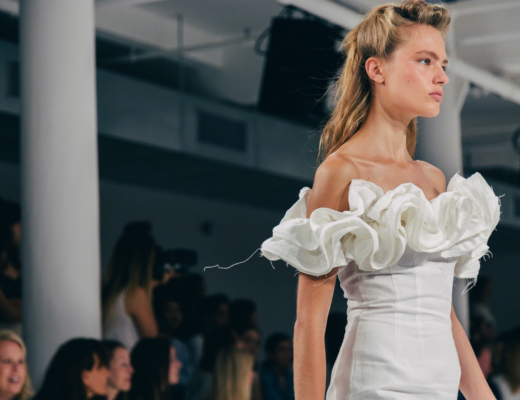 To keep up with the hottest trends from New York Fashion Week take a look at New York Fashion Week Trend Report What To Wear Fall/ Winter 2018. More trend reports from Milan Fashion Week and Paris Fashion Week coming soon!